How does a marshmallow and dried spaghetti relate to social media? 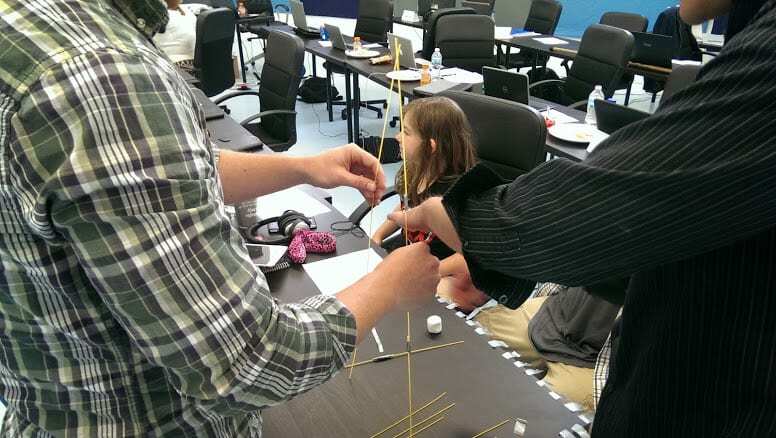 We wanted to know what happens when you take several professionals who are leaders in their fields and ask them to make a free standing structures out of spaghetti and a marshmallow? You get 20 sticks of dried spaghetti, 1 yard of string, 1 yard of tape and one marshmallow. We had 6 teams of 4 people building structures, all of them using slightly different designs. Almost all of them started with a plan. Most of the teams talked it out before hand, developed a plan and a few minutes in started to build. Some even drew their plan on paper. For almost all of these, they started at the base and worked up according to their plan, and then at the end they added the marshmallow. And for almost all of these teams, as the towers stood and the teams carefully placed the marshmallows on top, they would slowly let the tower go and watch as it slowly crashed to the ground. 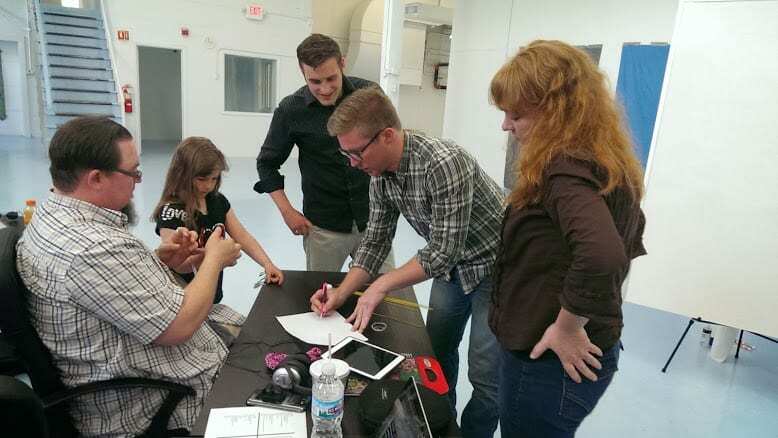 The one exception was the team that started out testing what it took to hold the marshmallow. 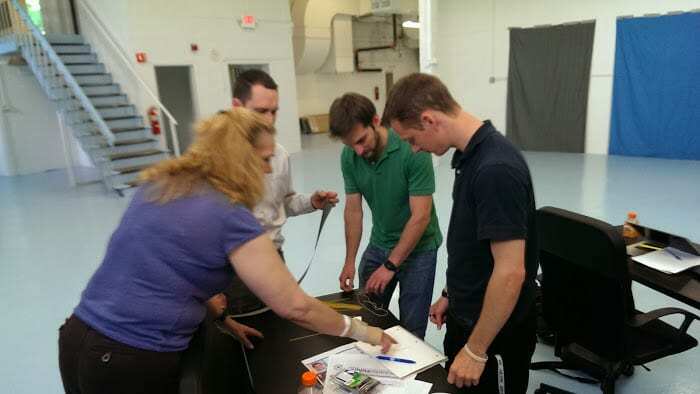 The successful team took the tower and tested it, step by step to see what would hold. So how does this relate to social media marketing? The way most people view advertising is to make a plan and execute it once, but when it comes to social media it’s not a one shot chance. In traditional advertising, groups of people will get together and made their best guess as to what will be successful, and after arguing back and forth for a time and eventually coming to a consensus, they will launch the campaign. Luckily, when you are advertising on social, you don’t have to just rely on a guess. When amplifying your content on social, you get the opportunity to try out a variety techniques and targeting. Because you are not limited to a fixed, unmovable campaign like you would be with newspaper or magazine advertisement, you can try out a large mix of content and targets and see what works. But you still don’t want to waste money. On top of that, there are so many options, so how do you start? In the marshmallow challenge, the goal was getting the marshmallow to the top. 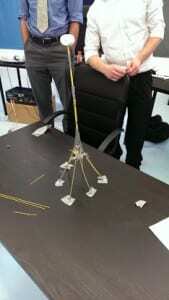 The group that succeeded started by testing the strength of the spaghetti against the marshmallow then built up from there. Once they discovered how many pieces of pasta it took to hold a marshmallow, they would then keep testing different things to see what would hold. With social, you can do the same thing. You can start with your content and target it against several different targets that you think may work. After several days, you will see which targets are doing the best. Once you narrow that down, you can test what creatives and content work best. 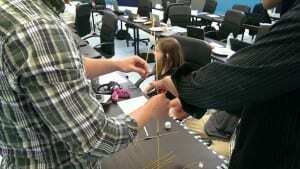 In the marshmallow challenge, every move that the winning team made had the goal in mind. When optimizing your campaigns for social, you have to do the same thing. With every move you make, you need to have the goal in mind. If you need a little guidance how you would break this down check out how we believe it should be broken down here. When amplifying on social, So many people will fail once and then quit, but what they don’t know is that in social, we get a chance to fail many times, at minimal cost, and learn from the failure and apply it to the next campaign. With the constant “test and tweak” method, you are able to evolve your campaign and determine what is the best content and best targeting so that in the future you will know what will work well. As a result, the process becomes quicker and more cost effective. « Obsessed with conversion optimization? Salivate at Facebook’s new pixel and pixel tool!